Cabins have cable TV, heat, air conditioning and wifi. All cabins are located near the pool. Cabins have a screened porch, picnic table and barbecue grill. Two cabins are "pet friendly" with a pet deposit. All cabins are non-smoking. We stay here all the time, it is a slice of heaven! So peaceful, clean and convenient to EVERYTHING you could need or want. Close to the beach but not in the middle of the hectic busy downtown and has several stores and restaurants close to the park. Our best camping experience! We drove 15 hours from Ohio and Just 2 days into our 7 day stay we booked an additional 7 day return trip. By far the nicest, cleanest, private but centrally located campground we've ever visited. The island accessible by bicycle, walking distances to beaches and the customer service the entire staff provide is top notch! We will make this a must visit (multiple times) each year!! Happy Campers!! A great stay. The staff was very friendly and accommodating to our needs. All facilities that we utilized were very clean and well maintained. There was plenty of shade throughout the entire campground. In and out access was relatively easy as there was a staff member with us to ensure that we were well positioned on our site. Though not on the beach itself, it was reasonably close to both the ocean and river beaches. The only negative about our entire stay was the famed coastal Georgia summer humidity that not even the staff could do anything about. Our stay at this campground was fantastic, until just before check-out. We had a Water/Electric Only site for our small travel trailer. Since the map posted on the website showed a dump station within the campground and there was no information that stated the dump station could not be used by the campground guests, we figured we would be able to dump before departing the campground. When I went to the office to confirm where the dump station was located, I was told there was a $15.00 charge for dumping. The staff mentioned that they usually send the trailer to a full hook-up site to dump there. When I inquired as to if I could dump at the "dump station" shown on the map without charge, I was told NO. The $15.00 charge would need to be paid for any dumping. I've not found this at any other campground. I guess I did not understand the need for an actual "dump station" if customers have to pay to use it, in addition to the normal site fee. Very disappointed in this extra fee. Overall, the campsite was great, just the dump fee that was not mentioned anywhere I could see on the website or in the site information provided at check-in brings my rating of this down. Pool doesn't open until 11:00 AM and you have to check out by noon. These hours are in the information brochure. However, an insert states hours for the pool are posted. When we were there, tried to go for a swim around 9:30 thinking pool would be open because people were in there. The "Y" has a class until 10, so campers cannot swim. Are they there for the"Y" or to provide for the campers who paid for services that they paid for. Bren W, I'm sorry that our pool hours negatively affected your stay here at River's End. You are correct and our pool does not officially open until 11am. However, during a few summer months, the local YMCA holds a water aerobics class at 9am. We try to make sure that every guest is aware that they are MORE THAN WELCOME to join the class (at no charge) and/or use the pool during the hour of "free swim" time, 10-11am. So there is NEVER a time that others are using the pool and our guests cannot. In this small town, we do not have very many pool options. So we try to work with local organizations, such as the YMCA, to offer things to our community when possible that will add to their quality of life and health. I apologize if there was any misunderstanding about guests' use of the pool. We will try harder in the future to ensure that every guest is aware that they can join the water aerobics class for free any day. Thank you for the feedback. This was our first camping adventure, and it was not without hiccups. The staff were wonderful, helpful, and friendly. The camp was great, with a very friendly atmosphere.This campground is on my list of places to visit again. Great RV resort.Very friendly staff! Lot of things to do and great places to eat. The park was filled with beautiful old oak trees with huge above ground root spans. That was the nice part. HOWEVER, at check in we were told our space was a pull through and a cart driver escorted us to the site where we began pulling through behind her. Because of the tree roots there was no room to swing out as we entered the site, and a big green electrical box was at the front of the site which prevented pulling straight through. At this point our tow vehicle was awkwardly angled and it required a back straining effort to detach it. HAD we NOT been told this was a pull through, we could have detached our tow and maneuvered into the space. Instead, we spent two days in our camper trying to recuperate from back strain. The site was not long enough for a 30' camper with a tow car, even without the electrical box, and surely the management was aware of this. 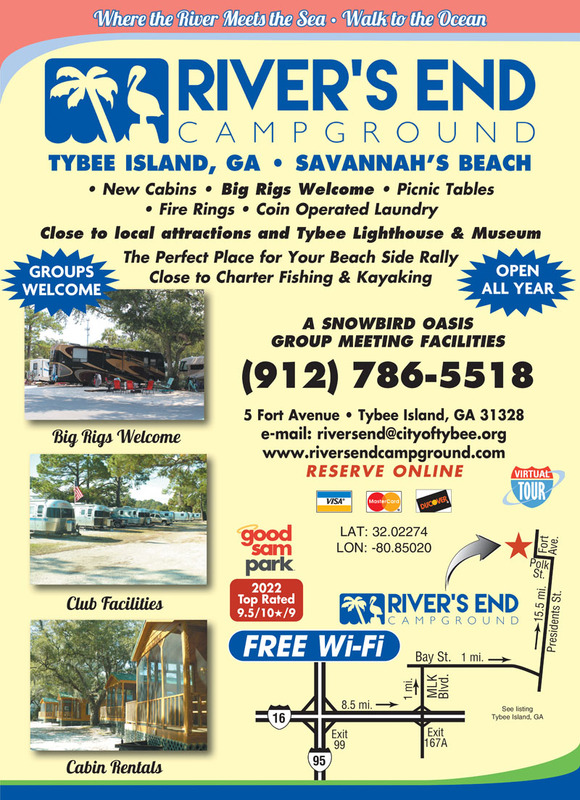 Very nice RV Park located close to many attractions on Tybee Island. 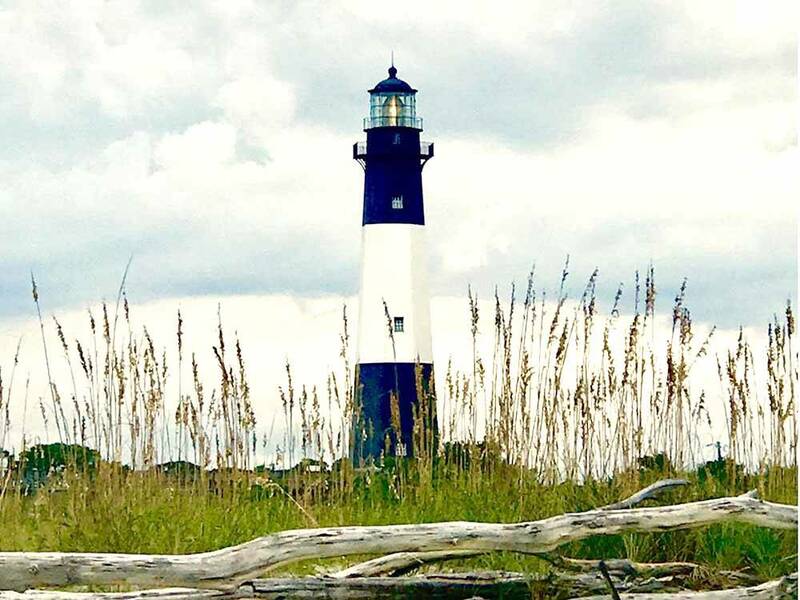 Short walk to Savannah River Beach (unknown to most) and a short walk to the light house. We also rented a cabin which was great...only problem is that you can't move in until the exact arrive time. Park located a mile from the main beach and shops and recommend a dinner at the original crabshack. Very nice winter stay. City of Savannah is great especially along the river...many shops and a lot of history. RV parking in the city is difficult, must park in the terminal and walk or take a tour buss to the River. FYI, Island is home to many stray cats and occasional raccoons so keep food indoors. Nice quaint campground. Friendly staff. Great location for relaxation. Facilities are nice and clean as well. I hope to become a regular there. Bring your own linens & supplies and enjoy a true camping experience in our climate controlled 400 sq ft Cabins. One cabin is even Dog Friendly. 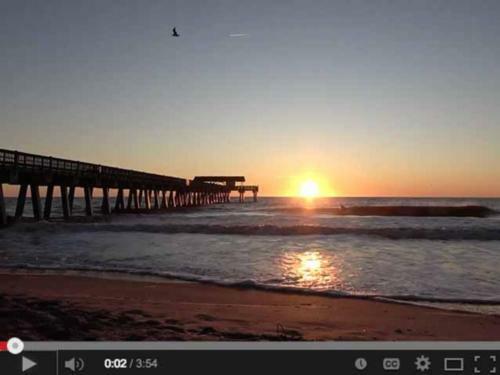 Book yours now to enjoy Tybee Island, the Beach, the History & the Restaurants. Enjoy Guided Tours on the Island. Try a Kayak Tour or Rent a Bicycle & some Beach Gear. You won't want to miss Captain Mike's Dolphin Tours, our Marine Science Center, Ft. Pulaski or the Tybee Lighthouse & Museum.